Protecting your head is one of the most critical tasks of your armor, no matter what level of skill you possess. 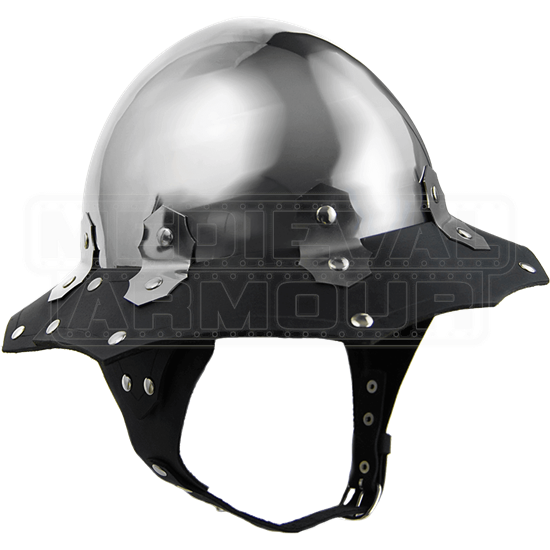 The War Kettle Helmet features a round, 18 gauge steel bowl over the top of the head with a leather brim and insides. 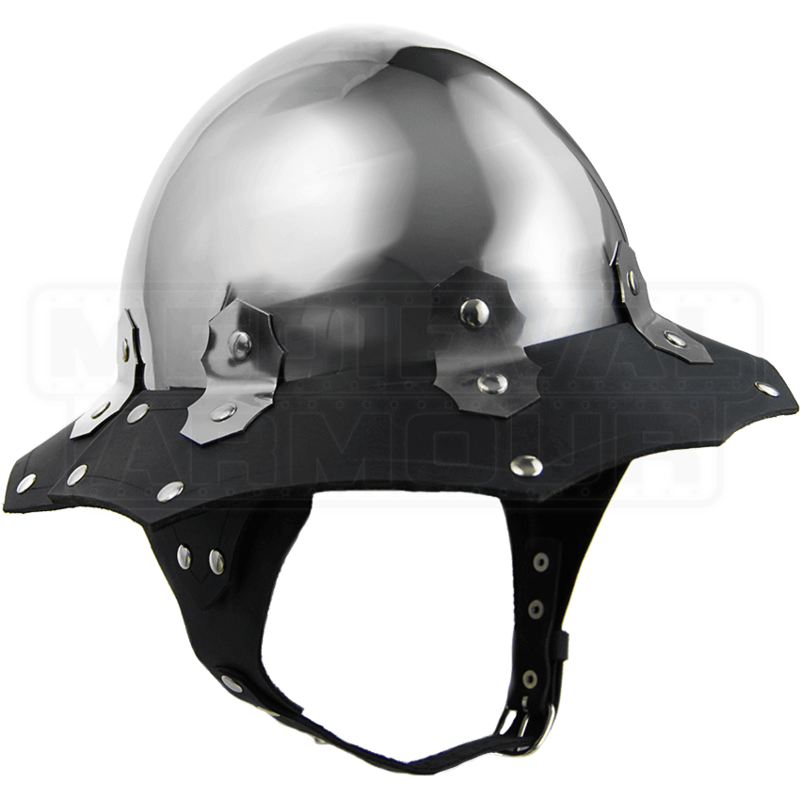 Nickel rivets stud the black leather, providing this helmet with a hint of flair. The use of stainless steel in this product requires no maintenance while adding to its interesting look. A strap under the chin keeps this helmet in place no matter how wild the fighting gets. Many different types of warriors can appreciate the combination of functionality and style in this piece!